On behalf of The California Endowment, RALLY produced the first ever TCE Youth Awards to celebrate nineteen outstanding young leaders from all over California. Events are one of the most misunderstood tools in the communicator’s toolbox — expensive, time-consuming, one-off moments that often have high expectations and result in low impact. But done right, events in the issue advocacy space can be powerful catalysts that raise awareness, change hearts and minds, and inspire action. Events are catalysts when they spark new ideas, inviting attendees to think about issues in a new way. Events convene people around a purpose, and events are often a powerful culmination of a mission. 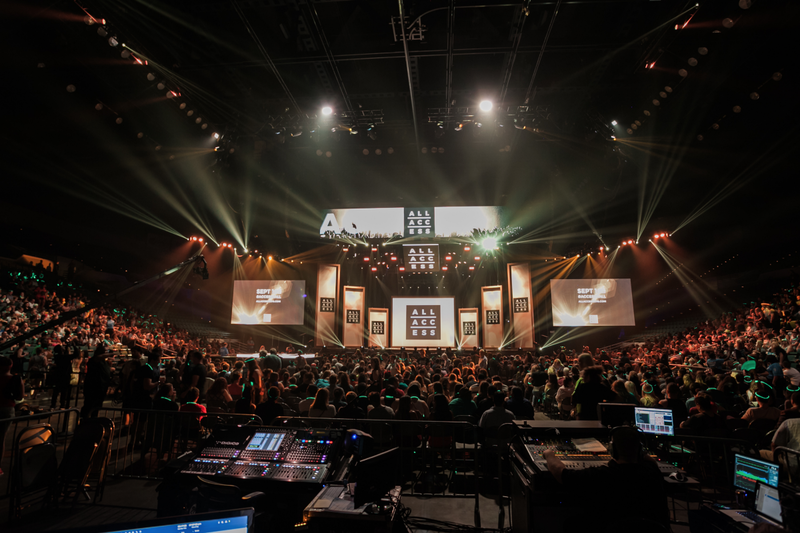 So should an event (or events) be part of your communications strategy? Will it match one of the 3 C’s? We thought you’d never ask. Ask the right questions — and plan it out. Events can position you as a leader in your domain — but if we don’t dedicate ample time in the planning stage to work out how and why an event will help us accomplish overall campaign goals, we risk missing an opportunity for impact. Questions we ask our clients and ourselves include: Are we celebrating an accomplishment, or trying to draw new attention to an issue? Are we building new awareness, or pulling people to together to tackle a problem? Is there more than one goal? Should there be one event or multiple events? Who are we trying to convene (aka, what is our audience)? What should people be thinking about as they leave? What is the call to action? Metrics for success across different campaigns will look and feel completely different from each other, but the one thing they should all have in common is a distinct direction in the pursuit of a greater mission. 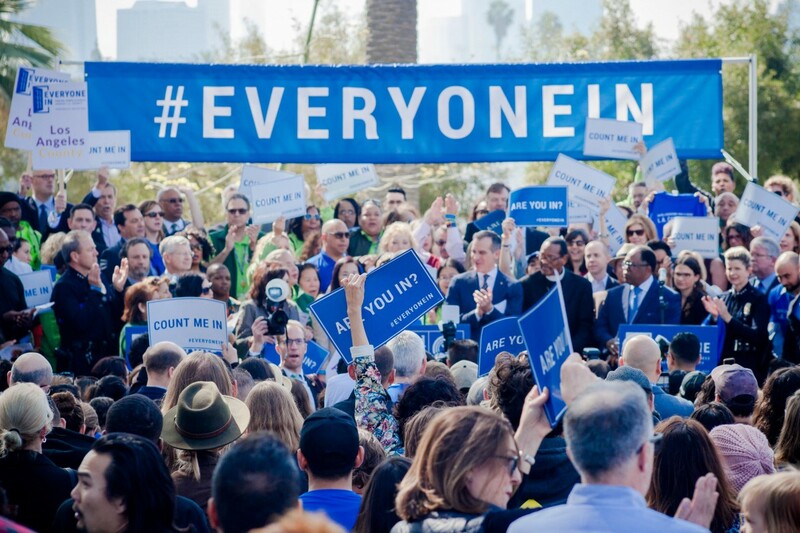 Community leaders celebrated the kickoff of Everyone In in Echo Park Lake, LA in March 2018. For example, in early 2017, The United Way of Greater Los Angeles (UWLA) launched Everyone In, a bold campaign to end homelessness in Los Angeles County. The goal was to inspire renewed interest and drive sustained public action in the fight against homelessness. To do this, we needed to make a splash and position a well-known issue in a new way. RALLY worked with the client to create an impactful launch event, followed by a series of storytelling events, pop-ups, and documentary screenings designed to establish empathy and humanize the issue of homelessness. Taking the time at the outset to establish our goals meant we were able to design an approach with maximum impact. Which reminds us…. Make it interesting. Or even…fun! RALLY worked with a coalition of 14 reproductive rights groups to plan All Access 2016 in more than 35 cities. Events are a unique communications tool in that they aren’t passive — they ask your audience to commit a lot of time. Therefore, of all the questions you must ask at the outset, “Why would someone attend this?” is perhaps the most crucial. Will they meet someone new? Learn something new? Hear from an influencer they admire? Get to share their voice? Be entertained? Be a part of something big? It is critical that you think about what might motivate your audience member to give up time, to travel, and participate in something. For example, the United Way pop-up events offered compelling narratives and stories that hadn’t been told before. Or, on a bigger scale, RALLY worked with NARAL in 2016 to host a series of concerts featuring everyone from Katy Perry to Sia in support of abortion access. Talk about a win-win. A top star and an issue you care about under one roof? The series drove thousands of new conversations and infused new attention into the issue of abortion access in a tough environment. The Asia Society engaged RALLY to market COAL + ICE, an art exhibition and event series to inspire climate action held in San Francisco during the Global Climate Action Summit. Chances are high that you don’t want your audience walking away from your event with no plans to engage with your issue ever again. Therefore, give them opportunities whenever possible to continue engaging even after they walk out the doors. A resident testifying in front of elected officials in Los Angeles at the community forum organized by STAND. 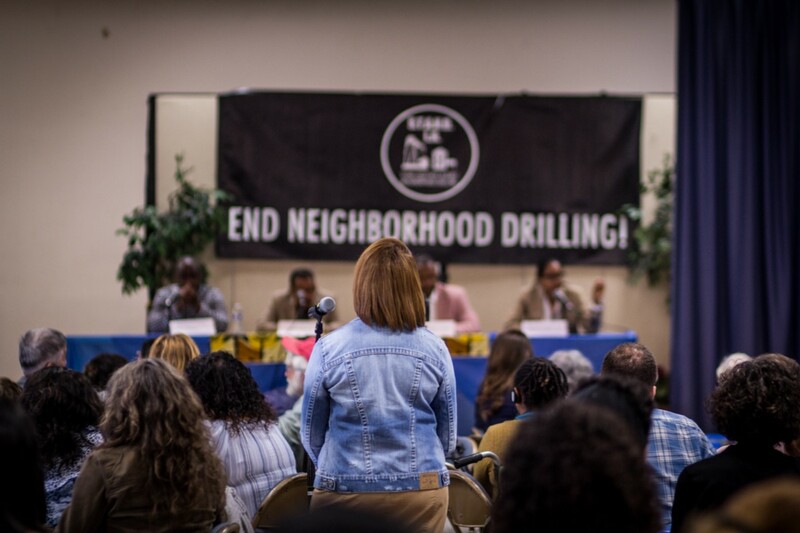 At a community forum we held with Stand Together Against Neighborhood Drilling (STAND), an environmental justice coalition of community groups in Los Angeles working to end the urban oil and gas extraction practices that continue to threaten the health and safety of thousands of Angelenos, we convened state and local elected officials and hundreds of residents from South Los Angeles and Wilmington. This was a rare chance to get in front of leaders in a community setting, rather than at City Hall or an office, to share experiences, ask questions, and demand action. The event, while formal, was also heartbreaking and called on the audience to do more to help families in Los Angeles. Before attendees left the event, we armed them with action toolkits and general tips to stay active in the issue space. We’d like to think that together with STAND, we added all the right ingredients that gave attendees reasons to keep showing up: a unique event, a compelling experience, and a dash of guidance to ensure their continued interest and involvement. Progress — whether legal, political or social — takes time. This forum was a powerful, compelling moment focused on those at the front lines — but it was also one of a series of activities aimed at moving the needle and achieving environmental justice for all. Final Thoughts: Wrap it up. It takes a lot to move the needle on social justice issues, particularly given today’s heated, divisive political climate. Strategically planned events are powerful bridges that bring people together, encouraging behavior and actions that shape public discourse, and ultimately drive progress. Drawing back to our 3 C’s, we are reminded that events are catalysts, events convene and events serve to culminate. But events don’t stand alone. Every event should be wrapped by a full suite of communications: from publishing an op-ed that highlights one of our event voices, to running live and post-event digital that amplifies what was heard, to capturing attendees and turning them into part of your community. Every moment — from the invite (whether it’s a simple email or a billboard advertising a rally) to the materials or swag you hand out — is a piece of communications that should be considered. By building a thoughtful communications strategy where your event is one of many tactics, you can ensure that it is more than just a moment; it’s part of your movement.